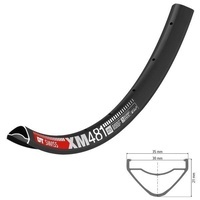 Dice Rim Ollie Fat Bike 55mm Wide Single Wall 650b (27.5 inch) Dia 32 Hole Matte Black ERD 580mm - DICE Parts Co. 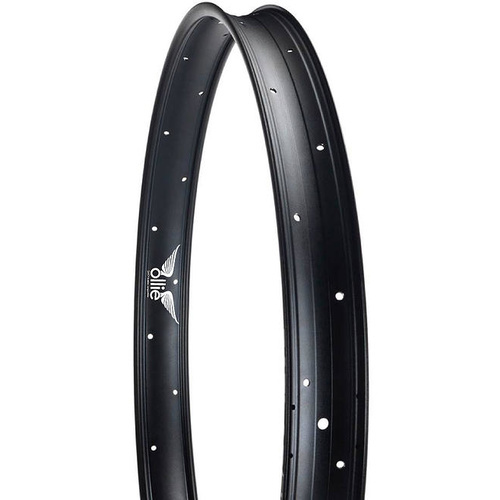 Dice Rim Ollie Fat Bike 55mm Wide Single Wall 650b (27.5 inch) Diameter 32 Hole Matte Black ERD 580mm (from Dave) Where's the holes? 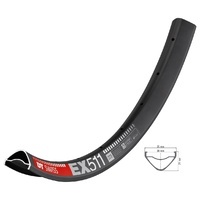 All fat bike rims have holes in them to save weight... right? Well... no. 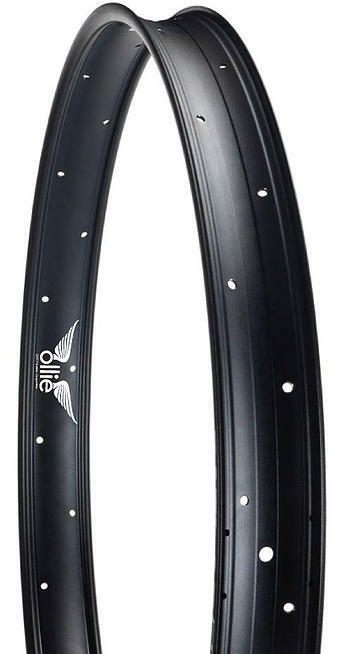 See, our new Ollie™ tubeless rims don't have cutouts in them; but they are light, in fact... they're lighter than most rims that have cutouts. 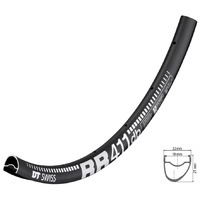 plus... you will need to add a vinyl rim strip (and a lot of sealing tape) if you want to run "drilled out" rims tubeless. So the weight will end up even higher in the end. 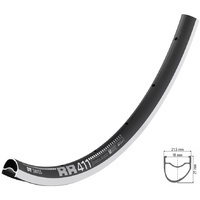 Why is tubeless important? Where have your been hiding for the past 10 years? 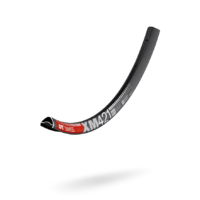 Tubeless, especially on fat tyres, means lower pressures. 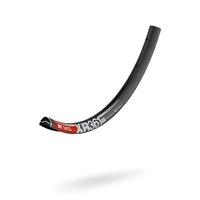 This equals better floatation and more traction.